All that's hip and happenin' in the world of indie music…for kids! Cat Doorman, the alter-ego of Julianna Bright, is the latest shining star to enter the world of kindie music. 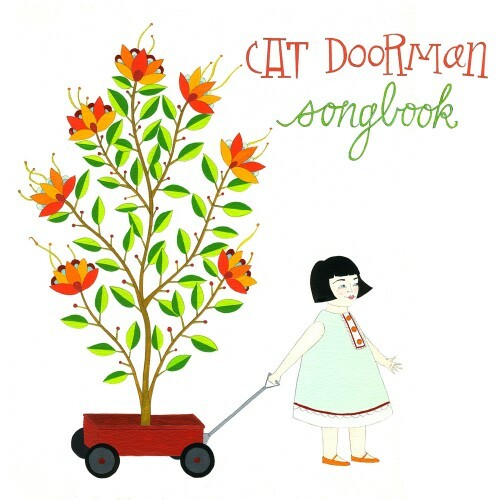 From Portland, Oregon, Bright recently released Cat Doorman Songbook. The album contains 14 impressive tracks (12 originals) offering thoughtful lyrics and a gamut of musical styles and accompaniment by performers such as Chris Funk (Decemberists), Seth Lorinczi (Corin Tucker Band), Garth Klippert (Old Light), Nick Reddel (Golden Bears), Annalisa Tornfelt (Black Prairie) and Ralf Youtz (Built to Spill). While the Cat Doorman Songbook is Bright’s debut into the children’s music arena, the bulk of the album could very well hold its own in the adult indie world, which is not surprising as Bright has experience with indie successes such as The Quails and her current adult band, The Golden Bears. Bright is also a talented visual artist, which is made evident throughout the album’s “songbook” as her colorful drawings and funky fonts add charm to its pages. There is so much depth to this album, it’s incredible. To start, Bright has an undeniably beautiful voice which soars and expands with great control. The songs on the album are melodic and smart, containing sophisticated lyrics which were no doubt inspired by Bright’s educational background in English literature, but also by her wonderfully creative mind as an artist. For example, Bright takes a literary approach to the traditional alphabet song in “So Many Words” as she introduces fun words like “Bandicoot,” “Hemlock” and “Katydid.” There are, however, some familiar words mixed in like “Allosaurus,” for the dinosaur loving fans, as well as, “Archipelago,” “Glacier” and “Nocturnal.” Even if these words are not familiar to little ears, they are fun to say and offer a perfect opportunity for learning. Other familiar songs include a rendition of Syd Barrett’s “Effervescing Elephant” and Bright’s fetching take on “Little Red Wagon,” which was released with an iPad app of the same name (produced in collaboration with Night & Day Studios). While I appreciate the songs my 4 year old can sing along to, it’s the complexity of the other songs that I enjoy the most, mainly because of the eloquence with which the words are sung and the deeper meaning of the messages they convey. It’s as if some songs on the album are speaking back to a childhood version of Bright while others celebrate the delight she experiences as a parent. “Two Old Shoes,” a gorgeously arranged song with some wonderful brass accents, is all about being yourself, accepting who you are and finding the beauty in things that are unpolished, despite the expectations of the world. “Lonely Girl” is a message of self-empowerment with a gentle reminder that we are capable of breaking free from the insecurities that keep us from moving towards greater things. “With Linked Arms,” is a haunting ballad that moves at a saunter while Bright’s voice reinforces devotion and the promise of companionship. “Whistling Song,” reminiscent of Norah Jones in “Come Away With Me,” is a sentimental jaunt that encapsulates the bliss of sharing an afternoon with your little loved one. “Inspiration” is a dreamy reflection of the feelings associated with having your first child while “Let’s Get Dressed Up,” celebrates the fanciful delight in wearing grown-up clothes. “Turn Around,” my absolute favorite song on the album, features Bright’s golden voice soaring over the following lyrics which reinforces the universal reach of this album. The last verse gives me chills every time I hear it. The radio sounds a serenade that’s carrying us on. Cat Doorman Songbook is available for digital download and purchase through the Cat Doorman official site, iTunes and Amazon. Make sure to check out Cat Doorman’s Little Red Wagon app, which features vibrant illustrations by Julianna Bright and is “both a musical songbook and delightful adventure game.” The app is currently only available for the iPad. You can listen to clips from Cat Doorman Songbook via the SoundCloud widget below, as well as a video for “Inspiration,” which was inspired by the birth of Bright’s daughter. The story & illustrations for the “Inspiration” video were made by Bright based on drawings by her daughter. A unique, extraterrestrial event will soon take place in Downtown Palo Alto. 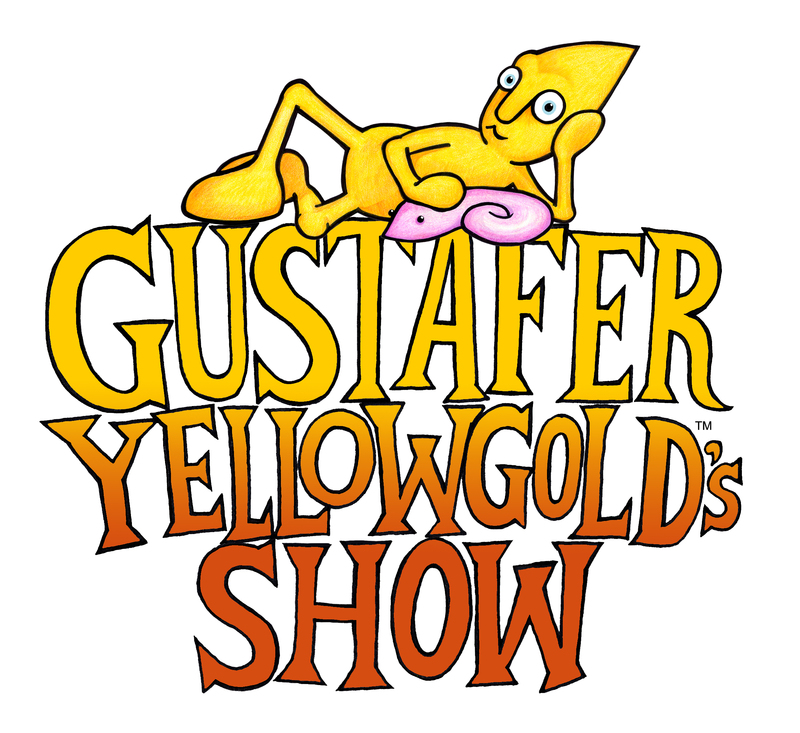 Gustafer Yellowgold, a small, yellow, cone-headed fellow, who came to Earth from the Sun, will be making an appearance at the All Saints Episcopal Church (555 Waverely Street) on March 9, 2013 at 4pm. Accompanying Gustafer will be Morgan Taylor, the genius behind the concept and illustrations of this radiant little alien and his friends. 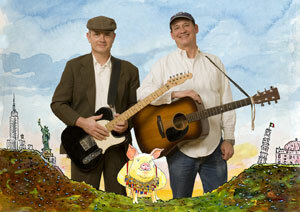 Taylor will be singing along with projected, animated illustrations of Gustafer’s adventures on our planet. And you can too, because all of Taylor’s videos contain subtitles for the lyrics. So bring the whole family along to witness this unique, multimedia experience. It will be out of this world! Purchase tickets online or at the door. Adults $10, Kids $6 (3 and up). Take a peek at the live show demo below for a preview of the fun that’s in store for you and your family. Happy Valentine’s Day! Thinking about how to show/feel the love today? Why not whoop it up with a new video by Mista Cookie Jar and the Chocolate Chips? 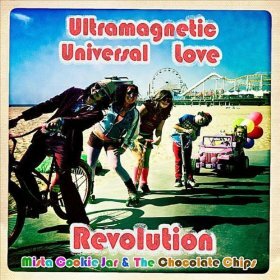 “Lover Not A Fighter,” a hip track from Mista Cookie Jar’s Ultramagnetic Universal Love Revolution, honors the purity of old school funk and soul while blending in some new school kid hop by Miss Ava Flava. but when ur strong u just love and lead. just how the good life’s meant to be. The video for “Lover Not A Fighter” is filled with fun. Much like videos previously released by MCJ and The Chocolate Chips, it’s infectious and invokes spontaneous wiggling and shaking. Anything by this crew brings a smile to my face. Plus, watching the amazing Soul Train dancers in the background is priceless and symbolic of pure happiness and love. So, go on, make your own dance line, turn up your speakers and make this Valentine’s Day the “hippest trip” your family has ever seen. Valentine’s Day special: FREE Download of “Lover Not A Fighter” all day on February 14, 2013 via the the Bandcamp widget below. 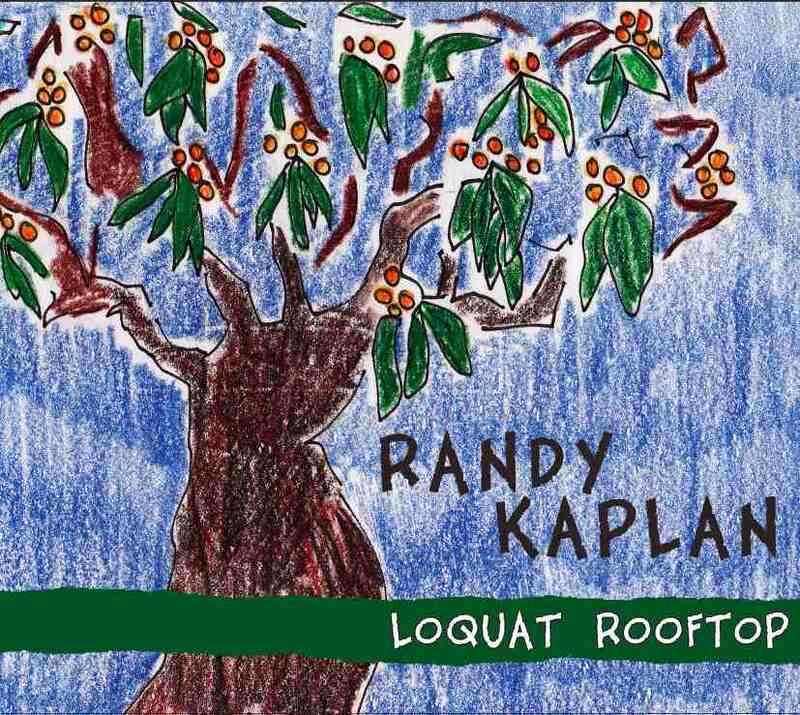 Fans of Randy Kaplan can now enjoy a 32-page picture book transcription of the song, “Loquat Rooftop,” which is featured on Kaplan’s album of the same name. 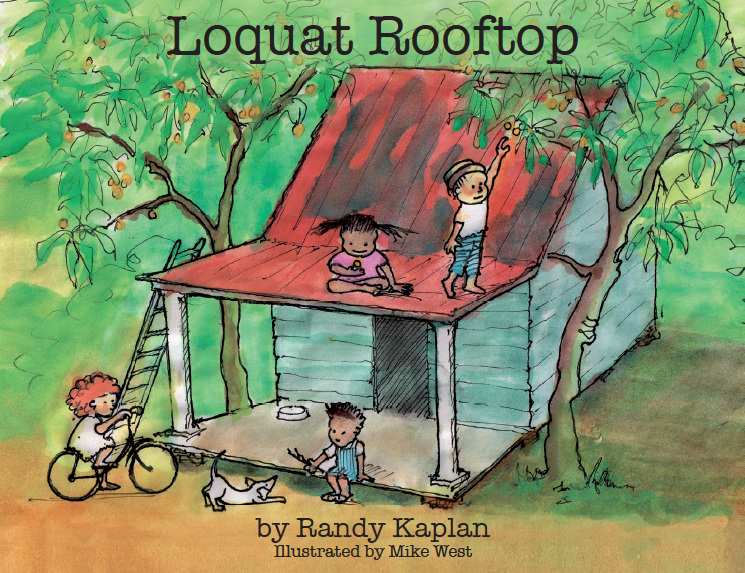 Loquat Rooftop, Kaplan’s first picture book, is brought to life with beautiful illustrations by producer Mike West. Through his music, Kaplan has historically captivated young listeners with creative storytelling and a brilliant sense of humor so it makes perfect sense that he is now expanding into print. Although the book is a literal transcription of the song itself, the story is just as engaging on its own and makes for a fun read. Loquat Rooftop offers an opportunity to provide your child with knowledge about a “mysterious fruit” while expanding their vocabulary. If you are not already the owner of the album, Kaplan is offering a CD + book bundle so that you can play the song while your child follows along with the book! Already own the CD? Purchase the book by itself. Samples from the album are available through CDBaby, along with other highly popular singles like “The Ladybug Without Spots” and “No Nothing,” a story about a pet Monkey who was raised by ducks. You can view clips of Randy singing “No Nothing” live through my concert re-cap post from last September. Check this Out: The Not-Its – KidQuake! 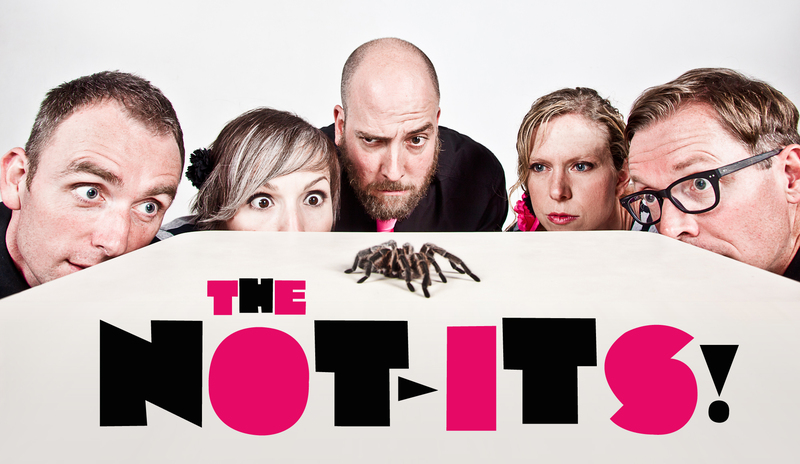 The Not-Its are back with another musically sound and sonically charged album filled with raw, kinetic energy. As the name implies, KidQuake! contains properties that will invoke lots of sudden movement. In other words, get ready to body rock! In addition to being a part of the wildly talented Kindiependent collective, The Not-Its are made up of veteran indie musicians (lead singer, Sarah Shannon was the former singer of 90’s Sub Pop band Velocity Girl), Danny Adamson (rhythm guitar), Tom Baisden (lead guitar), Jennie Helman (bass player) and Michael Welke (former drummer of Harvey Danger) who channel their rock/pop/punk sensibilities into making rockin’ kid tunes. They also happen to be experienced parents, with a total of 10 children amongst themselves, ranging from ages 2 through 9, which makes for highly relatable topics the whole family will enjoy! 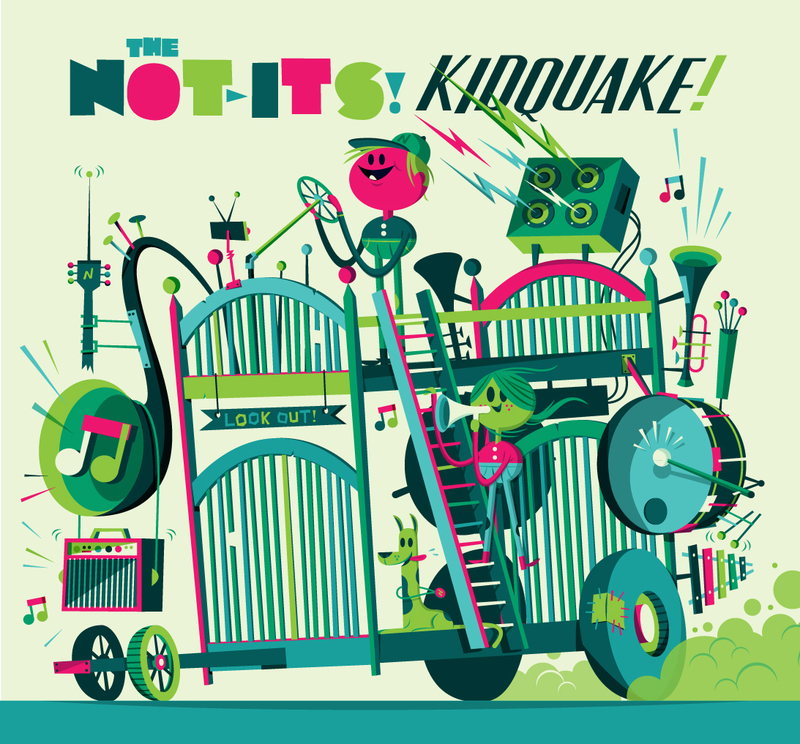 Kicking off the album is the title track, “Kidquake!” a thunderous tune which gives meaning to the driving force behind the frenetic energy that emanates from little bodies. As the lyrics proclaim “we may be small but we are strong” and “there’s an energy/we gotta set it free/come on every boy and girl,” “KidQuake!” could very well be the new “kid power” anthem. Or perhaps a call for a kiddie flash mob? Parents will get a kick out of “Temper Tantrum,” which pretty much speaks for itself and “Busy,” a ska jam that reaches out to parents, acknowledging that life can be hectic while offering the suggestion that sometimes we need to slow down. Resounding horns add a nice touch throughout the song and act as alarm clocks in the video. The Not-Its encourage staying active with “Let’s Skateboard,” a song that lists out all kinds of skateboarding tricks, and “Walk or Ride,” a song that encourages taking in the beauty of Mother Nature by using our feet to get from place to place. What Miss Em and I like to rock out to the most is “Tarantula Funeral,” in which The Not-Its so appropriately bid a righteous farewell to a beloved classroom pet. The song has an extremely catchy chorus with blending harmonies and smart lyrics. In fact, because of Bob the Tarantula’s biological misfortune, and the curious mind of my spider loving 4 year old, we were able to bond while learning some science. “Operation Cooperation” is a motivational song with a good message about teamwork and getting along with new friends in school while “Participation Trophy” celebrates hard work and trying your best even if it means scoring for the other team or winning 27th place in chess club. Wrapping up the album is the endearing tune, “The Not-Its Love You,” a reassuring message of love and a reminder that The Not-Its’ produce music from the heart, while uplifting the spirits of their audience. by Grammy-nominated Invisible Creature (Target, Nike, Nickelodeon) and the ladies’ vibrant pink tutus, you can immediately guess that you are about to have some serious fun! KidQuake! is another success for The Not-Its and one that every family deserves to hear. It really just rocks! Highly recommended for ages 3 and up! Tutus suggested, but not required. KidQuake! is available through The Not-Its store , as well as Amazon and iTunes. You can also listen to clips from the album through the Bandcamp widget below. Below is a video for “Tarantula Funeral,” which was made by guitarist, Tom Baisden’s, elementary school class. In addition to being an awesome musician, Baisden is also an elementary school teacher for children with special needs. Caspar Babypants has a new record out called I Found You, which also happens to be Caspar’s sixth release in just 3 years. Much like the other Caspar Babypants albums, this one does not disappoint. Below are two new videos from the album which will surely whet your appetite for more. And, it just so happens that tracks from I Found You can be sampled and purchased from Caspar Babypants’ official site. The first video is for the title track, “I Found You,” and features lots of funny little creatures. Each piece is unique with lots of character, much like the song itself. The second video is for one of my favorite songs on the album. “Too Dirty to Love” features animation by Charlotte Blacker (Stompy the Bear) and additional vocals by Rachel Flotard. As the parent of a little girl who happens to love the mud just as much as it loves her, I can proudly say that this video hits home! A new video from Key Wilde & Mr. Clarke with a fun twist on counting. All of the elements that make this dynamic duo so interesting are once again featured in this video: colorful graphics and animation, clever rhyming and a great sense of humor. There is even a trip to France complete with a French accent as 8 red ants “dance ze night away” on the Champs-Élysées. Although the title of the video is called “One Fat Frog,” those familiar with the duo’s existing work will recognize the song as “Counting One To Ten” from their 2010 release, Rise and Shine (an excellent and highly recommended piece of work). Listeners not previously acquainted with their work, well, you’re in for a treat. Want to hear more? The 11 Rise and Shine tracks are available for purchase (CD comes packaged with a board book) from Little Monster Records. The album is also available for purchase or download from Amazon.com and iTunes. You can also view a video for the single, “Animal Alphabet,” here.